Only one personality trait is changed when people drink. Alcohol has much less effect on people’s personalities than they imagine, new research finds. Only extraversion — how outgoing you are — changes when you are drunk. People become more assertive, gregarious and move around more when drinking. However, people think that all their personality traits change when they are drunk compared with when they are sober. 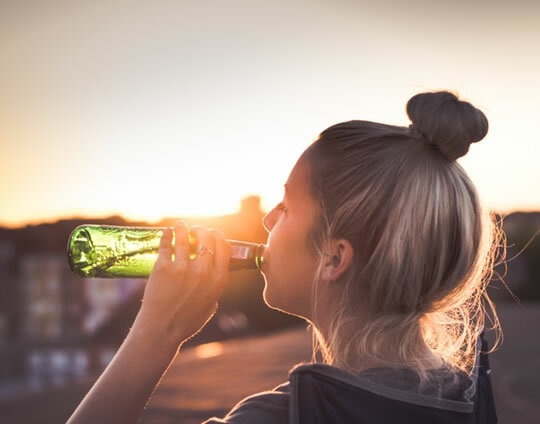 “We were surprised to find such a discrepancy between drinkers’ perceptions of their own alcohol-induced personalities and how observers perceived them. It may come down to the fact that we feel different when intoxicated, but our behaviour looks similar. After drinking, people felt they would be less neurotic, less agreeable, less open to experience and less conscientious. In other words, they thought that drink would generally degrade their personality, but make them feel happier (reduce neuroticism). The so-called ‘drunk personality’ may be something of a myth, at least this study found little evidence of it. People in the study, however, were not drinking a huge amount — just enough to put them over the legal driving limit. “Of course, we also would love to see these findings replicated outside of the lab — in bars, at parties, and in homes where people actually do their drinking. The study was published in the journal Psychological Science (Winograd et al., 2017).